Ericsson (NASDAQ: ERIC) and China Unicom, the world’s fourth-largest mobile service provider by subscriber base, are developing a 5G smart harbor at the Port of Qingdao in China. The news follows a successful technical solution verification at the port of Qingdao and was jointly announced by the partners during a media event from Ericsson’s booth at Mobile World Congress 2019 in Barcelona, Spain. One of the key findings of the field trial is up to 70 percent of labor costs can be saved when a harbor uses the 5G automation upgrade, compared to traditional harbors with a fully automated harbor. The labor cost savings are estimated based on the project of automation at the Qingdao Port automation. 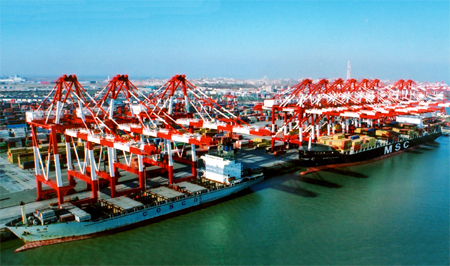 The Port of Qingdao is among the top ten busiest ports in the world, processing approximately 19.3 million containers every year. The port has been operating Asia’s first fully-automated harbor since 2017 and will continue to be at the forefront of port innovation by using 5G. The partners, in collaboration with the leading global port machinery manufacturer Shanghai Zhenhua Heavy Industries Co., Ltd. (ZPMC), achieved several ground-breaking accomplishments as part of their six-month 5G smart harbor technical solution verification in late 2018. This includes an automated ship-to-shore (STS) crane that lifted a container over a 5G connection operated from the control center. The 5G connection included data traffic from more than 30 high-definition cameras as well as control data for a programmable logic controller (PLC). These operations required millisecond-level latency control signals, as well as stable, remote and real-time control, requirements which only key 5G technologies can deliver. The field trial confirmed the feasibility and potential of 5G applications for the development of smart harbors, and as a result, Ericsson, China Unicom and other partners have agreed to jointly explore commercial 5G networks and solutions for smart harbors that include both automated harbors and the modernization of traditional harbors. This entry was posted in Uncategorized and tagged 5G, Automation, Automation5G, China Unicom, Ericsson, port of Quigdao on February 27, 2019 by Tim Cosgrove. Massive MIMO is a key technology that helps significantly increase network capacity and spectral efficiency while reducing wireless network interference, ultimately improving the end-user experience. Find out more about this critical technology as well as Ericsson’s latest 5G developments and deployments. People are watching, sharing, and streaming video and music more than ever – putting increasing demands on speed. Ericsson has analyzed 4G network performance statistics from metropolitan areas around the world, and found that the probability of a smart device suffering from insufficient speed can be as high as 20 percent during peak hours. By 2023, mobile data traffic is expected to reach 110 Exabytes per month, which corresponds to 5.5 million years of HD video streaming. This anticipated surge in mobile data traffic will require even greater capacity in networks. Massive MIMO can help bridge the transition from 4G to 5G, adding intelligent capacity and boosting user experience. What is Massive MIMO and why is it so important? Massive Multiple-Input, Multiple-Output (MIMO) is a wireless technology that uses multiple transmitters and receivers in a minimum 16X16 array to transfer more data. The technology plays an increasingly critical role in the evolution of 4G networks toward 5G, delivering the higher capacity, spectral efficiency, and faster speeds that operators and subscribers are demanding. Ericsson is at the forefront of this technology, with first-mover operators already trialing the technology as they evolve their networks from 4G to 5G. In August 2016, we unveiled the world’s first commercially available 5G New Radio (NR). Called Ericsson AIR 6468, it features 64 transmit and 64 receive antennas enabling it to support our 5G Plug-Ins for both Massive MIMO and Multi-User MIMO (MU-MIMO). The portfolio of 5G radios for Massive MIMO is bolstered with new mid-band and high-band versions (AIR 6488 and AIR 5121). AIR 3246, which will be commercially launched this year, is our first 5G NR for frequency division duplex (FDD), giving Ericsson a complete portfolio of 5G radios for Massive MIMO. To enable a 5G future, mobile operators must start evolving their networks to support new 5G technology concepts, while also investing in their LTE networks. LTE is forecast to reach 5.5 billion subscriptions by the end of 2023, and it will play a strong role in tomorrow’s 5G networks. Ericsson 5G Plug-Ins make it easier for operators to evolve their networks. These are software-driven innovations that are based on many of the breakthrough capabilities developed in Ericsson’s 5G Radio Test Bed and 5G Radio Prototypes, which are already deployed in operator field trials. Throughout 2017, Ericsson conducted trials with leading operators around the world with Massive MIMO functionality both on commercial 4G/LTE networks and in pre-standard 5G radio demonstrations. Ericsson has been working with Singtel to trial Massive MIMO on the operator’s network since February 2017. The two companies first signed a 5G Memorandum of Understanding in January 2015 and were the first to show a 5G system in Southeast Asia in August 2016, achieving a downlink speed of 27.5Gbps. In October 2017, Ericsson and SmarTone conducted a FDD Massive MIMO trial on 1800 MHz, representing the first of its kind for operators in Hong Kong. Plans were also announced with SoftBank Corp. to conduct a joint end-to-end trial of 5G in the 4.5GHz band in urban areas of Japan that would include deploying two 5G New Radios with Massive MIMO functionality. In the US, operator Sprint and Ericsson tested advanced radio capabilitieswith an eye on the upcoming commercial 5G deployment in the country. At Mobile World Congress Americas, results were unveiled of the first US 2.5GHz Massive MIMO field tests using Sprint’s spectrum and Ericsson’s New Radios. Commercial deployment is planned for 2018, with Massive MIMO radios providing a significant increase in network capacity. Telefónica-owned operator Movistar and Ericsson have brought the first 5G test system to Argentina. Base stations and device prototypes were used to show advanced 5G technologies, including Massive MIMO, massive beamforming, Distributed MIMO, Multi-user MIMO, and beam tracking. In Europe, Vodafone UK and Ericsson, in partnership with King’s College London, successfully tested standalone pre-standard 5G using a prototype device in a central London 3.5 GHz spectrum field trial. This trial displayed the capabilities of many technologies, including Massive MIMO. And, towards the end of 2017, Verizon, Ericsson and Qualcomm Technologies, Inc. completed a successful FDD Massive MIMO trial with a fully compatible customer device. Ericsson’s recent trials with leading operators and ICT players prove Massive MIMO’s importance in network evolution to 5G, and show the value operator’s place on the technology as a key enabler for 5G. In Ericsson’s latest 5G Readiness Survey, which compiles 5G-related plans and activities among operators, 82 percent of technical respondents chose Massive MIMO and MU-MIMO as essential for 5G. The report also shows that many operators have accelerated preparations for the new technology, and 5G trials are being carried out by 78 percent of the respondents. Furthermore, 28 percent of the respondents expect to deploy 5G during 2018. Want to know more about Massive MIMO? It’s clear that 5G is upon us, and technologies such as Massive MIMO help accelerate operator plans and make the next-generation wireless networks a reality. For more information about the technology components that enable Massive MIMO, check out this paper from the European 5G project Mobile and Wireless Communication Enablers for the 2020 Information Society (METIS). Discover more about how Massive MIMO improves the end-user experience, significantly increase network capacity and coverage, while reducing wireless network interference. This entry was posted in Uncategorized and tagged 2.5GHz, 3.5GHz, 5G, 5Greadiness, Ericsson, MIMO on February 1, 2018 by Tim Cosgrove. Ericsson (NASDAQ: ERIC) today presented Towards a 5G consumer future – its Consumer and Industry Insight report that discusses the six calls to action from consumers that operators need to act upon to provide a foundation for adoption of 5G technology. Moving towards a 5G future, consumers are calling on operators to avoid baseless marketing slogans and instead focus on real network experience, increasing the honesty of their marketing. The report shows that only four percent trust operators’ own advertising and network performance statistics. The insights in the report are based on Ericsson ConsumerLab’s global research activities of more than 20 years, and draw on data from a survey of 14,000 iPhone and Android smartphone users aged between 15 and 65. The views expressed in the survey are representative of 800 million consumers across Argentina, Brazil, China, Egypt, Finland, France, Germany, Indonesia, Ireland, Japan, Mexico, South Korea, the UK and the US. This entry was posted in 5G and tagged 5G, 5G technology, Ericsson, insights, Jasmeet Sethi on January 16, 2018 by Tim Cosgrove. This entry was posted in 5G and tagged 5G, 5GTF, Ericsson, Radio access network, RAN, Verizon on December 14, 2017 by Tim Cosgrove. In a new study with operator BT, Ericsson (NASDAQ: ERIC) quantifies the benefits of network slicing for operators. When coupled with operational automation, network slicing is proven to be a smart investment to reduce operating expenditures and increase CAPEX efficiency, while enabling fast implementation and better utilization of devices related to the Internet of Things (IoT). Mobile data traffic continues to grow at a rapid pace along with adoption of connected devices. In the Ericsson Mobility Report, around 18 billion IoT devices are forecast by 2022. Connected IoT devices include connected cars, machines, meters, sensors, point-of-sales terminals, consumer electronics and wearables. Network slicing allows operators to segment the network to support particular services and deploy multiple logical networks for different service types over one common infrastructure. The joint study looked at three ways to introduce new services into a network: via one multi-service network; via individual networks with dedicated resources; or via network slicing including operational automation. Specifically, the study’s base case was a deployment ramping up to 40 annual service launches over five years. Network slicing resulted in the equivalent of 40 percent reduction in OPEX, 35 percent increase in revenue potential and an overall impact of 150 percent increased economic benefit, under the baseline assumptions made. When scaled up, the gains also increased. All benefits were considered in terms of the core network only. This entry was posted in Uncategorized and tagged Ericsson, Ericsson mobility report, IoT. Internet-of-things, Network Slicing on September 21, 2017 by Tim Cosgrove. 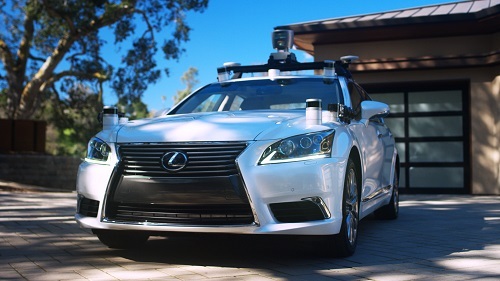 Companies from the technology and automotive sectors formed a consortium focused on creating the network architecture to handle the deluge of data expected to be generated by connected cars. The newly-formed Automotive Edge Computing Consortium (AECC) includes Ericsson, Intel, NTT, NTT Docomo and Toyota and aims to define best network practice for the new architecture. It is also set to investigate methods of delivering technologies including intelligent driving and maps updated with real-time data. The companies predict data transmitted between connected vehicles and cloud networks will be 10,000 times larger than recorded currently and is likely to reach 10 exabytes per month in 2025. AECC will attempt to define suitable network architecture and industry best practice standards for how the cars interface with the network. In a joint statement the members said the increase in data would: “Trigger the need for new architectures of network and computing infrastructure to support distributed resources and topology-aware storage capacity. The architectures will be compliant with applicable standards, which requires collaboration on a local and global scale”. The group expects to announce new members in the coming months. AECC is one of a number of partnerships formed by companies throughout the world to accelerate the development of connected vehicle technology across various markets. Members include app companies, technology vendors, network operators and automotive companies. This entry was posted in Uncategorized and tagged AECC, Connected Cars, Ericsson, NTT, toyota on August 13, 2017 by Tim Cosgrove. Ericsson has been unveiled as the connectivity partner for Stamford Bridge – Chelsea Football Club’s home stadium in Fulham, London. Free Wi-Fi coverage will be provided via the Small Cell as a Service connected venue business model whereby Ericsson designs, builds and operates the network on the customer’s behalf. As a result, Chelsea FC will be able to provide fans throughout the stadium with a richer experience that enables them to interact digitally with each other, the club, friends and family. In winning their fifth Premier League title in 2016/2017, Chelsea FC sold out every home match day at Stamford Bridge. Many fans used their smartphones to share photos and videos via social media, often stretching cellular networks to the limit. 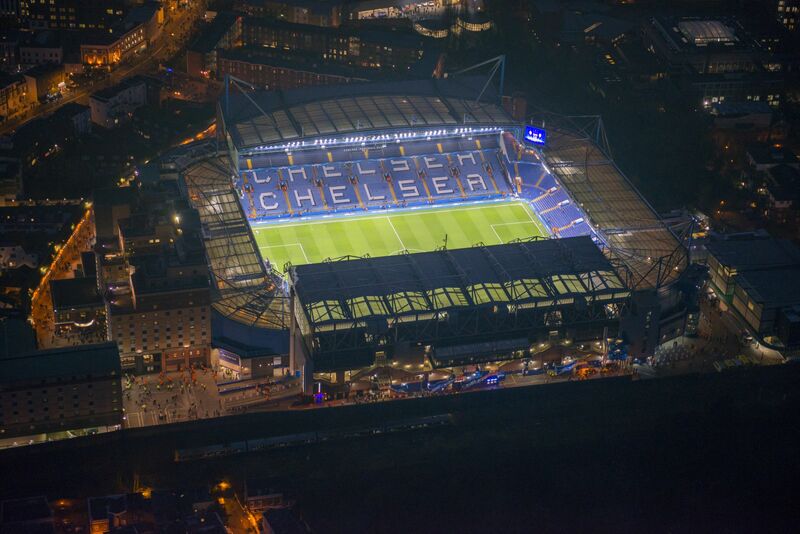 To ensure visitors can enjoy a seamless digital experience, Ericsson will design, build and operate a carrier-grade Wi-Fi access network and then manage it on Chelsea FC’s behalf. Small Cell as a Service supports service providers’ cellular go-to-market models, enables businesses to monetize Wi-Fi, provides a business case for network build-out and improves end-user experience. In 2015, Legia Warsaw became the first football club in Europe to sign a Small Cell as a Service contract with Ericsson. In 2016, Ericsson became the connectivity partner for the Ricoh Arena stadium in Coventry, England, home to Aviva Premiership rugby team Wasps and Wasps Netball. Through four weeks of football mania in Brazil in 2014, the Nordic World Ski Championships in Sweden in 2015, the 2016 European football tournament in France, and the 2016 summer sports event in Rio, Ericsson ensured the networks kept pace with the fans. Click here to read how we connect the most popular venues around the world. This entry was posted in WiFi and tagged Chelsea FC, connectivity, Ericsson, Wi-Fi on July 19, 2017 by Tim Cosgrove.